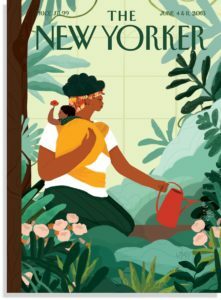 Loveis Wise, a recent graduate from the University of the Arts, made a big splash earlier this month when her illustration landed on the cover of The New Yorker magazine for their June 4 – 11 issue. The Fiction issue included the themes of: parenting, childhood, and the ties that bind both. 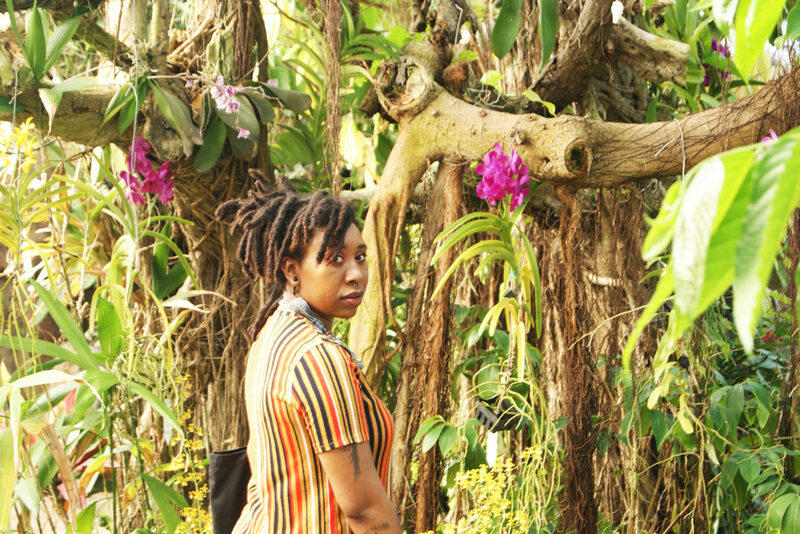 Below we spoke with the Washington, DC native about the exciting start to her career and her plans for the future. Can you give a brief description of your background: Where are you from? How did you get involved in illustration? How many years have you been pursuing it? I am from Washington, DC, the southeast area to be exact and I moved to the PG county area of Maryland when I was in middle school. I became involved in illustration when I was a freshman in college when a teacher noticed how much I loved using digital tools and he had encouraged me to major in Illustration instead of painting (which is what I planned to study when I came to art school). You recently graduated from UArts, will you be staying on in Philly? Yes! I love Philly because it’s rich with culture and it’s art community is insanely talented so I think I’ll stay in Philly for a while. Can you talk about your style of illustration? What’s your process like? My style is influenced by children’s book illustrators like Ezra Jack Keats and Faith Ringgold. I’m attracted to vibrant color,pattern, and flat shapes/design. My process always starts in my sketchbook and finds its way into Photoshop where I’m drawing on a Wacom tablet. I’m heavily inspired by Kerry James Marshall, Mickalene Thomas, Joohee Yoon, Kelsey Wroten, and Olaf Hajek to name a few. The New Yorker cover illustrated by Loveis Wise. How did this opportunity come about to land the cover of the New Yorker? What was the process like? What was the creative brief that you were given? How long did it take to complete? So, I was emailed by Francoise Mouly and she asked me to submit a few sketch ideas for a cover in about a weeks time, and the process was ongoing for a few months because we didn’t have a clear date when or if it would be released. She had also sent over a brief of Mother’s Day because it was coming up at the time. What advice would you give to students when it comes to pursuing these opportunities with big publications like the New Yorker and the New York Times? I would tell them that anything is truly possible and you can make it happen by just trusting yourself and working towards the goal. Don’t be afraid to share your work and put yourself out there because Art Directors are always looking for new and talented folks! What’s the best career advice that’s been given to you? Get an accountant and be mindful of tax season. What emotions do you hope viewers experience when they encounter your work? I want them to feel joy or connect with the images by seeing themselves or someone that the love in each of the works. What’s a dream project on your bucket list? I would love to create larger scale works or murals in different cities! I’ll continue to freelance, travel, and do a few speaking engagements this year! Stay tuned.